If you wish to offer digital downloads via your website using WordPress, the number one plugin for doing so is called Easy Digital Downloads ( EDD ), it allows you to sell downloads and accept payments via a number of payment processors. It also has a large number of add-ons so you can provide free downloads, add an affiliate system, take bookings, recurring payments, even turn your website into a complete digital items marketplace and allow other people to sell their goods via your site with you taking a cut out of each sale. Selling digital products is one of the best ways to make money online, due to the nature of the goods it is easy to make high markups on each product you sell as you do not have to deal with the logistics of physically shipping the items out and dealing with losses and damages in transit. The investment in the product creation can be high, depending on the item you choose to sell but once it has been created you can keep selling it over and over again without any extra investment. 0.1 Why use Easy Digital Downloads? Easy Digital Downloads was created from the ground up especially for selling digital products online. It was created by Pippin Williamson, a highly respected coder and member of the WordPress community so the actual code behind it is very well made. The base plugin is free to download and test out and there are also a large number of free and paid extensions for it which will cover just about every feature you wish to use. It works with many different payment processors, affiliate systems and so on. If you are offering digital downloads, you will also need a theme which works with EDD so that’s where this post will come in handy for you – we have gathered together all the best free and paid themes for Easy Digital Downloads – all of these themes have been created to work along side the plugin. 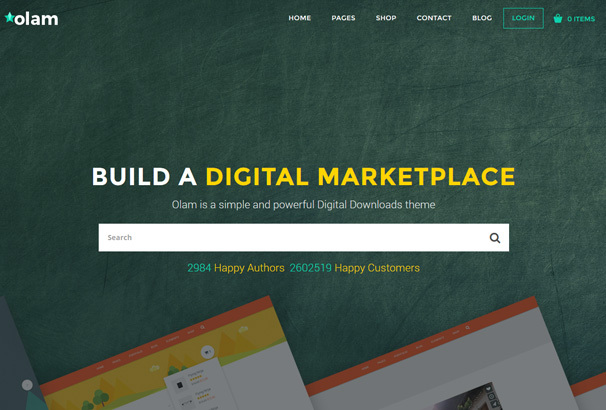 These themes will allow you to offer free or paid downloads via your website, create an online marketplace selling digital good, sell eBooks & PDFS online, sell graphics, sell MP3s and music files, sell video files and just about any other type of downloadable purchases. 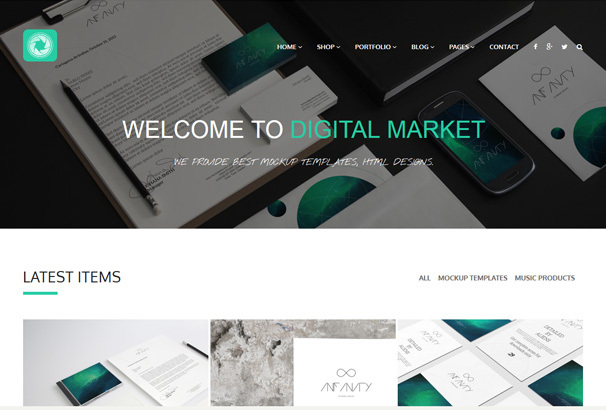 These themes can be used to create a marketplace of digital products, they will work with Easy Digital Downloads and the Marketplace add-on bundle. With a marketplace websites, vendors will be able to signup and create their own store and sell their products on your site. You can then decide what commission rate to pay them, similar to the Envato marketplaces or Creative Market. 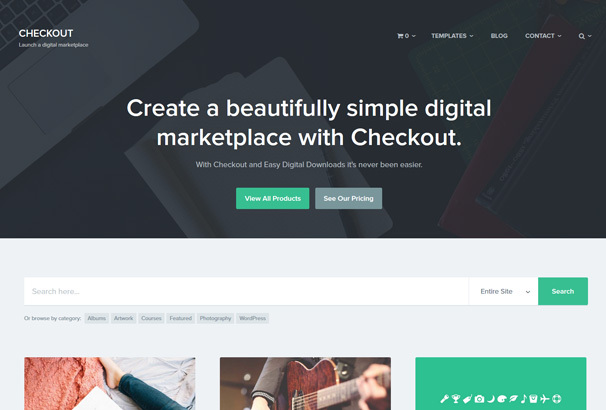 Checkout is a beautifully designed theme from Array Themes which allows you to create a single-vendor or multi-vendor marketplace. It’s perfect for large websites selling digital downloads and offers lots of custom page templates including vendor dashboards, vendor product submission and so on. It scaled perfectly so looks good on all size screens. Check out our own site Kooc Market to see it in action. 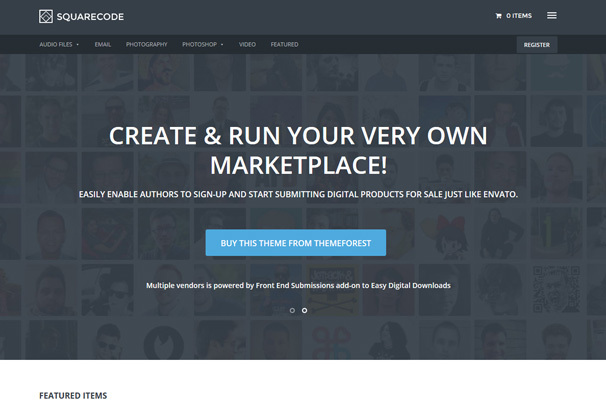 Squarecode is another great theme for creating multi-vendor marketplaces, it is styled very neatly with a responsive design and modern layout. Includes all the page templates you need to create a complete marketplace website. 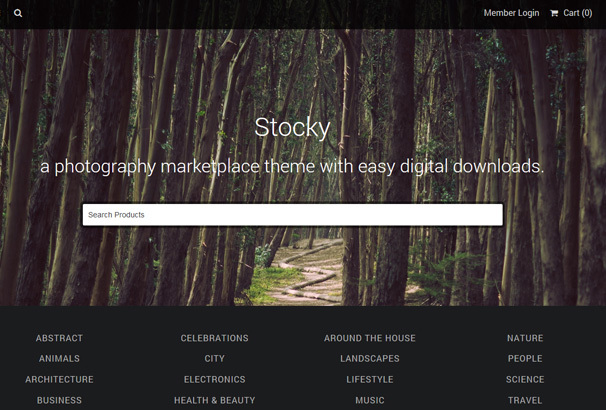 We also use this one on our sister site, Photonify which is a marketplace for digital goods for photographers. 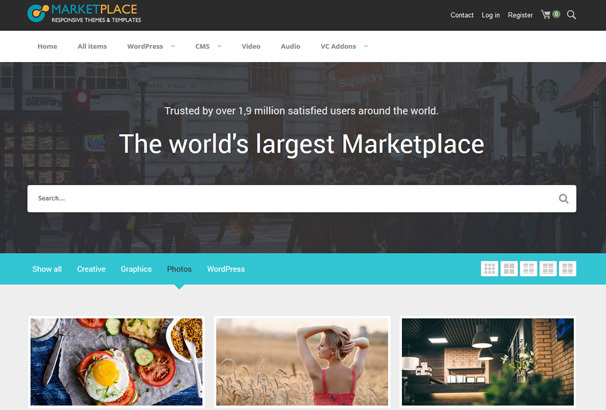 Marketplace is a large WordPress theme with loads of features for marketplace websites, it supports many add-ons for EDD including the marketplace bundle and has a powerful options panel for tweaking many layout and styling settings. 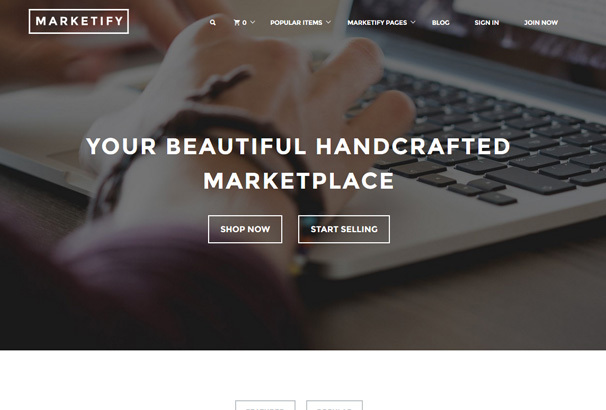 Marketify is beautifully designed and perfect for marketplace websites which sell photos, designer’s items, fonts, graphics and so on. Support for the popular add-ons and lots of page templates will allow you to create a unique marketplace and style it for your needs. Olam is a theme developed for Easy Digital Downloads plugin. It uses Unyson based framework complete with a page builder and lots of shortcodes. Now supports EDD FES plugin. You can now create marketplaces like themeforest using Olam. The themes in this section all work alongside Easy Digital Downloads to allow you to sell your digital goods online from your own store. 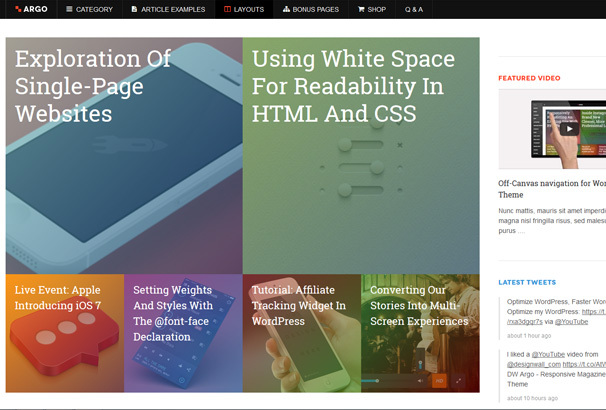 Responsive WordPress Theme DW Argo – The theme features outstanding features and functions like sticky header, off-canvas navigation for mobile devices and tablets, keyboard navigation and a shop page using Easy Digital Downloads. 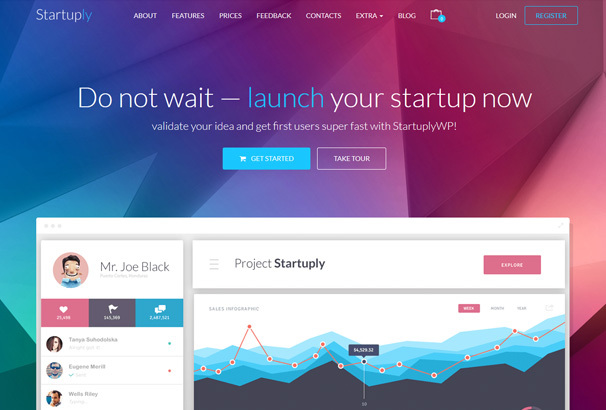 Startuply is a multi-purpose theme which allows you to create many different types of websites for startups and app companies. Check out the many demo sites you can build with it and it also works perfectly with EDD. 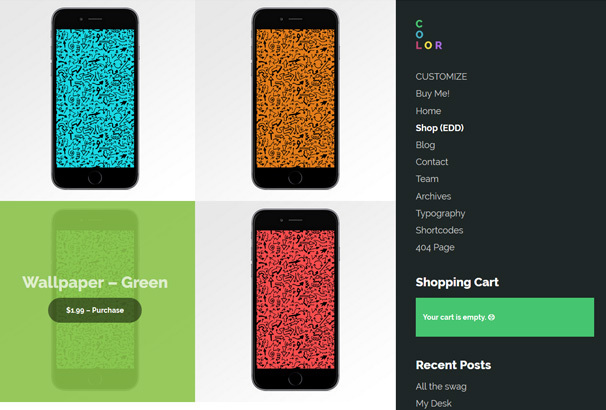 Color is a theme for selling digital products and also creating a portfolio website – perfect for freelancers or companies who wish to make extra money from the sale of their assets. 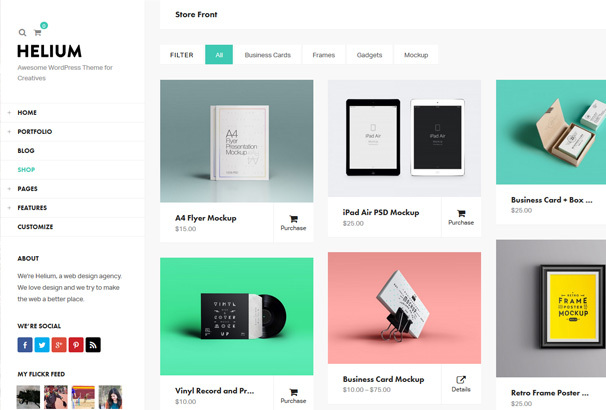 Helium is another portfolio / eCommerce site, if you are a designer or photographer you can use this theme for your business site and showcase your work and bring in extra income from the sale of products also. Spaces is a creative portfolio theme with a minimal layout and full featured portfolio section, it has also been tailored to work alongside EDD and also WooCommerce so you can open your online store alongside your portfolio website. 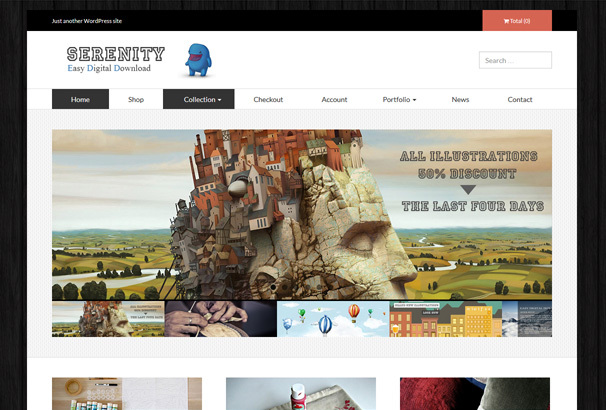 Serenity is a theme built for Easy Digital Downloads which allows you to quickly and easily get your digital goods store up and running in no time at all. It’s built on Bootstrap and makes use of the customizer for live changes to your theme. 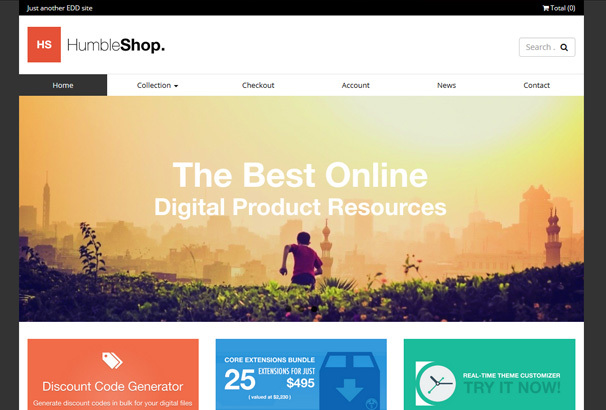 Humbleshop has grid-based homepage for displaying your products – it uses a simple layout so this theme is perfect to customize for your needs. 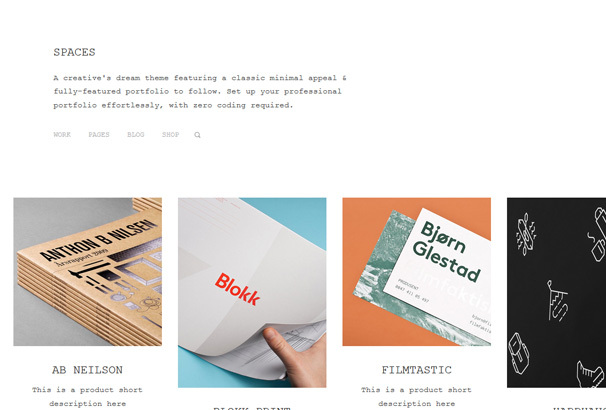 JollyFolio is a minimal portfolio theme for agencies, photographers and freelancers who also wish to sell their goods online – simple and easy to setup so you can be up and running and earning an income from your digital products. 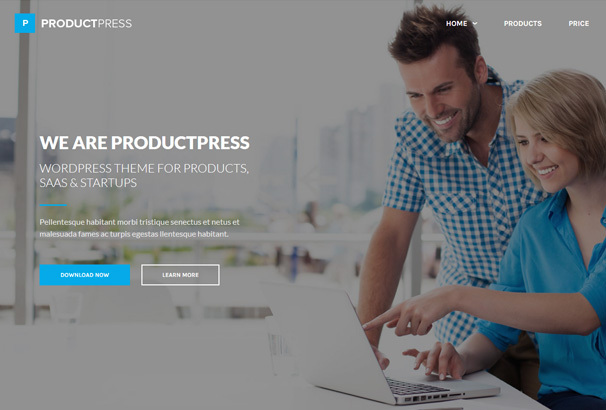 ProductPress is an Easy Digital Downloads theme for WordPress – The homepage has multiple sections and functions as a modern looking business website with hero header area, features and services section, products grid and a large footer for displaying widgets and testimonials. 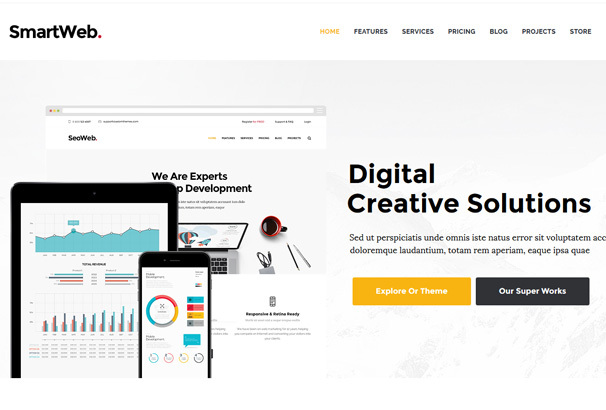 SEO Rockets is a theme with a great business-like layout perfect for SEO and Marketing companies, apps, social media businesses and even blogs. Because it works with the EDD plugin, you can sell your digital products and services without any fuss – take a look at the demo to see it in action. For You, what is the best theme for search engine? I am a happy user of Olam theme, it’s very flexible and well coded. Easy to customize it too. My old site was on Stocky before but the author of that theme stopped the support of the item on themeforest and there are no updates for a long time now so I switched to Olam and very glad I did.